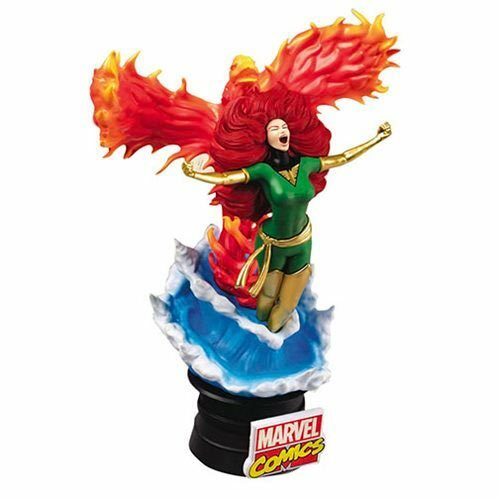 This Marvel Comics Phoenix D-Stage Series 6-Inch Statue - Previews Exclusive presents the most powerful 'Omega Level' being in the X-Men universe! 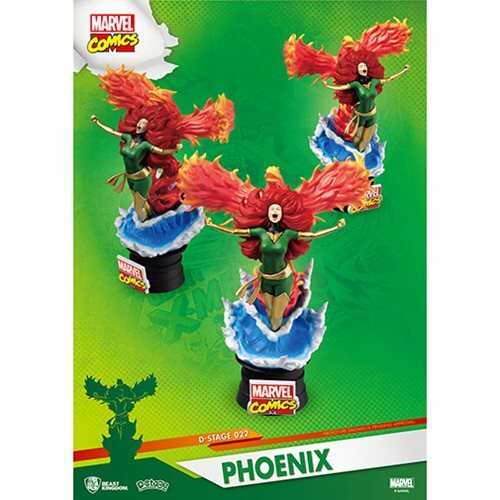 The DS-022 Marvel Comics Dark Phoenix is a recreation from one the most renowned comic covers. Jean Grey is featured here with flying red hair and raging flames encompassing her entire body, screaming with her unlimited power! Using sophisticated modeling and immersive painting techniques, The Dark Phoenix invokes both the light and dark side of the comic franchise! So, for all Marvel fans, grab an authentic stereoscopic diorama, and add this amazing snapshot to your X-Men collection.